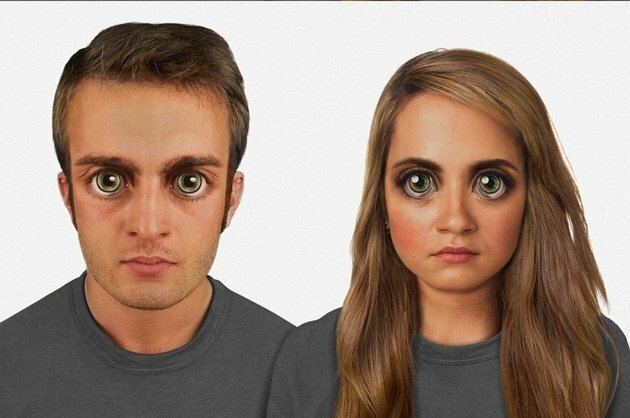 SapioBlog: How will we look like in 100,000 years? Not very pretty. That is the conclusion that a team reached after thinking about it for a while. (I mean, come on, it's not like they are basing it on any facts). I hesitated about adding the tag "Science", but hey, why the hell not. You have something on your eye... there! It was just a little slice of apple pie. I, for one, am glad we won't be alive for this.